Welcome to Settle Area Swimming Pool. 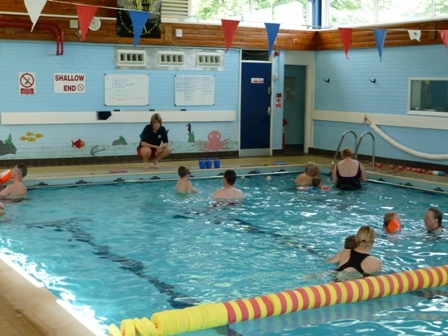 A 20m x 7m swimming pool in the picturesque town of Settle with wonderful views of the Yorkshire Dales National Park fells and Pen-y-ghent one of the "Yorkshire Dales Three Peaks"
We are a community run swimming pool offering a wide range of activities for residents in the local area and visitors from away, whatever age or ability. The following are just some of the activities we have available. 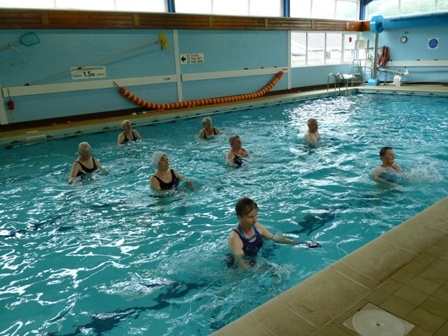 ~ Aqua Aerobics - a great workout in the pool, taken at your own pace. For a full list of our activities and opening times please refer to our website.